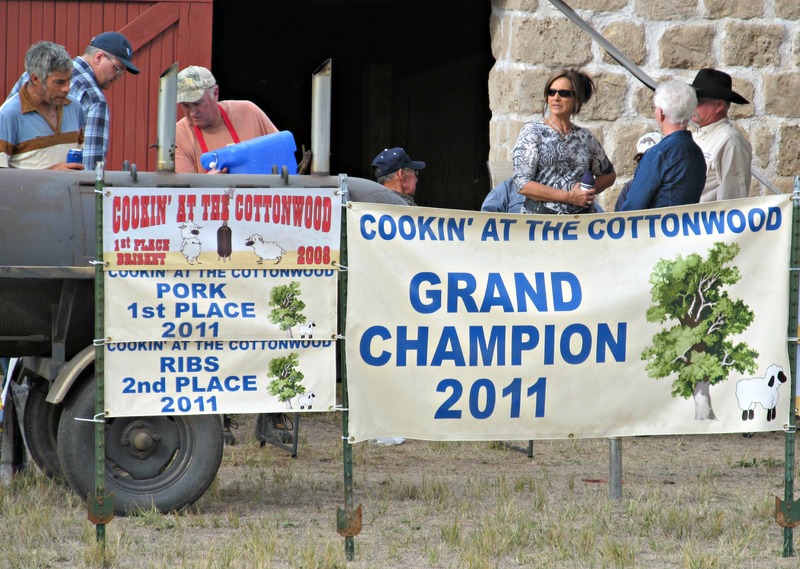 Each fall, the Friends of the Cottonwood Ranch hold one of my most anticipated yearly events; Cooking on the Cottonwood. The Cottonwood Ranch, located near the small agricultural community of Studley, Kansas is a historically significant sheep ranch once owned by wealthy British immigrants. 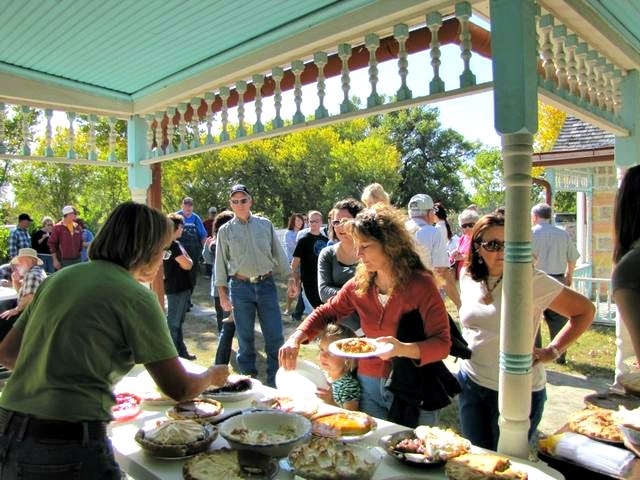 The Friends of the Cottonwood Ranch host many fun activities including sheep dog trials and Christmas festivities, but as a serious foodie, my favorite yearly activity is the cook off. Not only do they have a barbecue contest, but this year, they had a pie contest, cookie bakeoff and a chili contest. It’s a food lover’s dream! Proceeds from the event go to support a very worthy cause. Money raised is used to support, maintain and conserve the historic property. 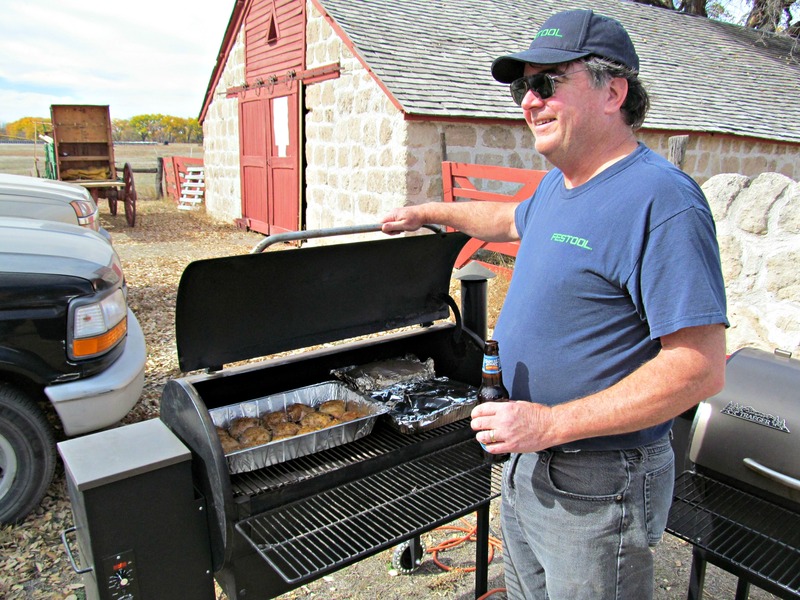 This year, I was fortunate enough to judge delicious barbecued pork ribs from thirteen different teams, on the back lawn of the beautiful ranch house. If you ever have the opportunity to take a fall road trip in northwest Kansas, be sure to check out the Cottonwood Ranch. The cook-off is a barbecue (and pie, cookies and chili) lover’s delight! So we know that Chris loves contests. In fact, he is going to be judging the Bacon Recipe Contest at this year’s Bacon-Fest: The Other Fundraiser in Kansas City on August 24. We are giving away 5 VIP tickets to Bacon Fest KC! Leave a comment on this post below telling us three words you would use to describe your love for bacon. The contest will close on Tuesday, July 9 at 5:00 pm. Winners will be selected at random and notified via email and announced on the blog.